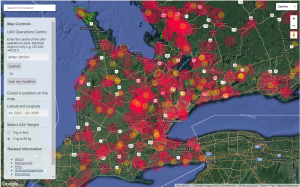 rapid development of UAV technology and actively seeking out ways of working with the UAV community and the regulator to ensure that Canadian skies can be shared by all users in a safe and effective manner. 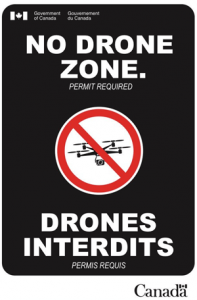 If you operate a UAV, would you like “advance, promote and preserve the Canadian freedom to fly” that UAV? That’s our mission! 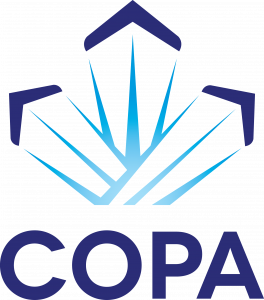 So why not join COPA and learn all about general aviation and safely sharing our skies and enjoying our freedom. In partnership with Altex, we are working to educate members of the UAV community on the various regulations, requirements, and implications for drone operation in different classes of airspace. Click here to watch their video. Members of the Model Aeronautics Association of Canada, operating at MAAC-sanctioned fields or events are not subject to these rules. If you cannot meet the safety conditions outlined within the criteria for obtaining the exemption, you are required to obtain a Special Flight Operations Certificate (SFOC) and Transport Canada permission to fly. At or below 300 feet (90m) above ground level (AGL). Not over a forest fire area or over any area that is located within five nautical miles of a forest fire area. Not in any airspace that has been restricted by the Minister under Section 5.1 of the Aeronautics Act. Only at least five (5) nautical miles away from the centre of any registered aerodrome, heliport or water aerodrome. Only at least five (5) nautical miles from a built up area. Not over an open-air assembly of persons. Know Before You Fly is an education campaign founded by the Association for Unmanned Vehicle Systems International (AUVSI), the Academy of Model Aeronautics (AMA), and the Small UAV Coalition in partnership with the Federal Aviation Administration (FAA) to educate prospective users about the safe and responsible operation of unmanned aircraft systems (UAS). 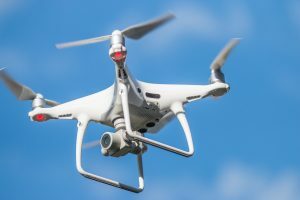 As excitement and enthusiasm continues to grow around UAS, and the regulatory framework continues to take shape, more consumers are looking to buy UAS for personal use and more businesses are looking to use UAS too. These prospective operators want to fly, and fly safely, but many don’t realize that, just because you can buy a UAS, doesn’t mean you can fly it anywhere, or for any purpose. Know Before You Fly provides prospective users with the information and guidance they need to fly safely and responsibly.